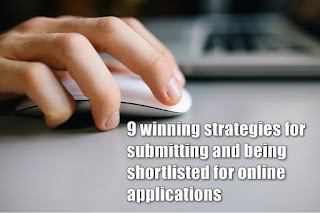 OK while I can't guarantee you a win, here are 9 winning strategies to being shortlisted when submitting an application online. This post applies for job applications too but I thought I'd share my thoughts on the 'reviewer' side of an online application. I'm currently about 1/3 of the way through an initial review of some online applications. In this case it was for a competition type thing at work (I work at TfNSW in the Digital team and we're processing the Open Data registrations of interest) but the process it the same. I've also been reviewing some 'job' applications for one of my latest startup ventures so these tips do cross over into that realm too. I've filled in a number of these types of forms in the past and for whatever reason didn't appreciate what effort should go into responding! So to help you avoid the same issue I thought I'd share some tips about what you can do to help your online form based applications. We had a few questions that needed answering, and the difference between them all were quite apparent. Make sure you respond in a timely fashion. In this case I work for government so we're actually reviewing things after the submission date is closed so everyone gets equal 'review' time. We do still get the submission time and date though. If it's a job application or admission application form make sure you let the reviewer know that you are keen to apply and make yourself known. Sometimes these things close early due to too many applications so the earlier the better... but not TOO early. If you are too early it may indicate that you haven't taken the time to sit and ponder the questions or the opportunity. So within 24 hours is fine. Within 20 minutes may be a bit too quick! Take your time. To fill out the form. So whilst you do need to respond in a timely fashion also keep in mind to think about the questions and respond accordingly. I'd suggest copying the words into a note book (Word doc, Evernote, text editor, Google doc or otherwise) and answer the questions in your own words. Then come back to the form and cut and paste into the form. We had a question in there about market readiness. Whilst 'ideas' are great sometimes you just have to show the product and how far along you are. Same with job applications. It's all good and well to indicate you have an interest in the area, but it's better again if you have had x years of experience in the subject matter! We had two questions that were similar one about market readiness and one about experience. Experience counts but if it's similar AND you have something ready to go that's best. If it's just an idea and you have experience it may not be as useful. Make your application count and prove you can do the job with experience and a product. Having said all this some applications I've done I've received feedback that we are too experience or too expensive or too mature a business. This goes back to the underlying Selection Criteria. Selection criteria. 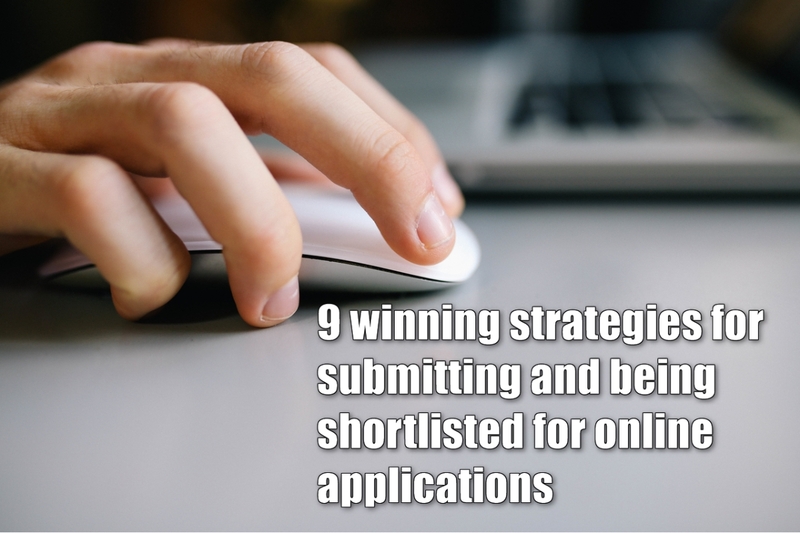 Make sure you understand what the selection criteria is. Even if it's not stated in the instructions you should be able to understand for what reason the company or organisation or reviewer will shortlist you. Can you do what you are pitching? What will you do if successful? What is your point of difference? Stand out. With the Open Data registrations of interest it was for real-time data. TfNSW already has a number of real-time apps they promote and support. Pitching 'another' real-time app is not going to get you anywhere unless you tell us why. Why should yours be better than the experience than the others out there? What benefit is there to the key stakeholders (in this case TfNSW and the customers of TfNSW)? Hit me over the head with the killer features you have or the amazing user base you have or the reality that you have access to a technology no one else can get. Heartstrings. Yep your application may be black and white and submitted to a seemingly black hole, but someone does read it/scan your application. Tug at some heartstrings but don't make it too soppy and make it real. Why are you doing this? Is there a compelling reason. Tell a story. In this round I haven't seen any heartstring pulling stories, but I assure you that I get bored easily and something funny, quirky or emotionally different would be good! Send additional information. Most of these forms have some capability to send more information. It may be a link or a file upload. If you are sending a link take that opportunity to monitor if anyone has reviewed your doc. Maybe you didn't get that far and have already been eliminated? Or they haven't gotten around to reviewing it yet. In any case it's good to keep tabs if you can. Lastly, spell check, grammar check etc. When competition is tough it's always good to make sure you aren't eliminated on semantics. Make sure you spell things correctly and check your grammar. Whilst this isn't a deal killer, this shows a level of quality. I doubt anyone who even stumbles across my very invisible blog will have applied, but if you have, don't contact me until it's all done and dusted. I'm only one of the reviewers and whilst my opinion does count the decision process is fairly objective and scored. As most of you regular readers (yes all 5 of you!) may know I am also a founder of 99interns and whilst we don't review the job applications we do see them. We see them flow through and when called on to screen applications we do then review them. So many of the above points resonate there too. I'm sure if you are interested there are any number of articles and blogs you can read about standing out with your job application. But for all of you wantrapreneurs who fill in online application forms for incubators, programs, funding, pitch days and more -- read the above! I know I'll have a different set of lenses on when I do my next submission!